Best Girl Athlete at St Machars Cathedral! Something pretty special happened last night. 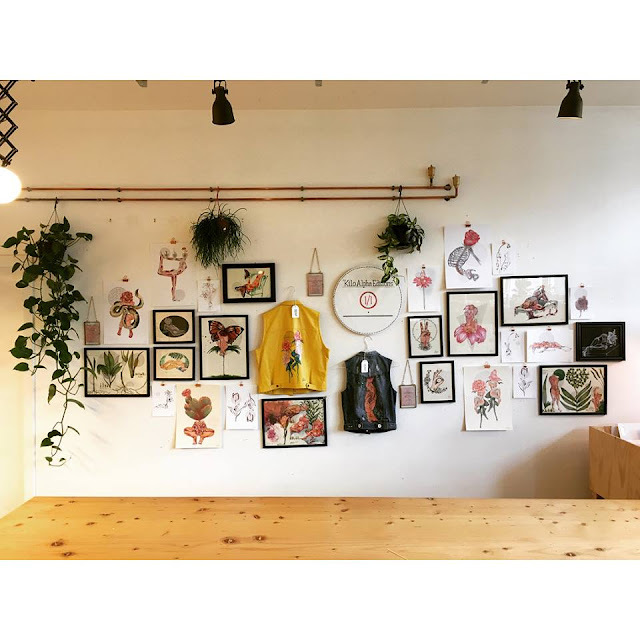 Local band Best Girl Athlete played the first gig of their short Scottish tour and which brings them to the Museum of Scottish Lighthouses in Fraserburgh tonight and Glasgow's Pipe Factory tomorrow. 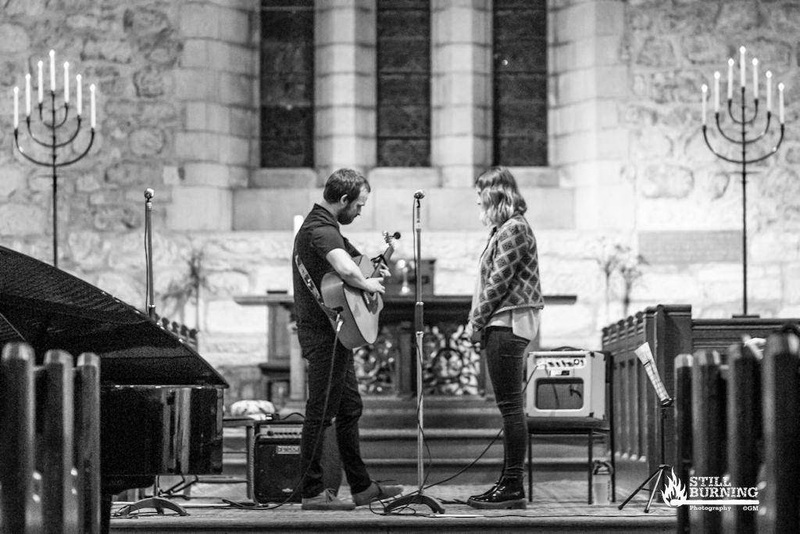 But last night saw them grace the stage of St Machars Cathedral and it was incredible. Bringing a host of talented friends with them it wasn't just Best Girl Athlete who blew me away but everyone who played. 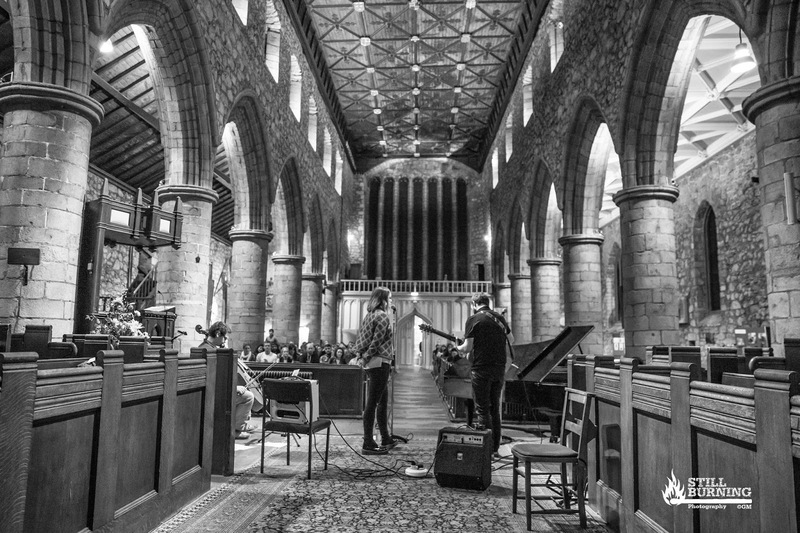 Philip Joseph Rae delivered a swathe of downtempo, heartfelt songs which dealt with themes all too appropriate for a church setting, the lychen covered gravestones outside must surely have been moved by the performance. And The Great Bear also tackled some deep themes dedicating his first poem to his beloved whom he married in that very church although I'm not sure she was too happy about the wording of his grandfathers poem, alluding to being cheated into marrying a lass on false pretences of imminent child birth. The Great Bears performance was vastly different to the quiet person I'd met, instead commanding the stage with ease and confidence, no mean feat when your face with a 130 strong audience in Gods house! And especially one as majestic as St Machars Catherdral. Finally after a quick run around to see some old friends who'd popped up on various church pews it was time to settle in for Best Girl Athlete. Now having worked on the video's for Leave It All Behind and more recently Hills I've developed a great appreciation for debut album Carve Every Word so I was excited to see how things would play out. Bringing in master celloist Pete Harvey and the incredibly talented Chemical Callum on the piano it was sure to be a special performance and it didn't dissapoint. 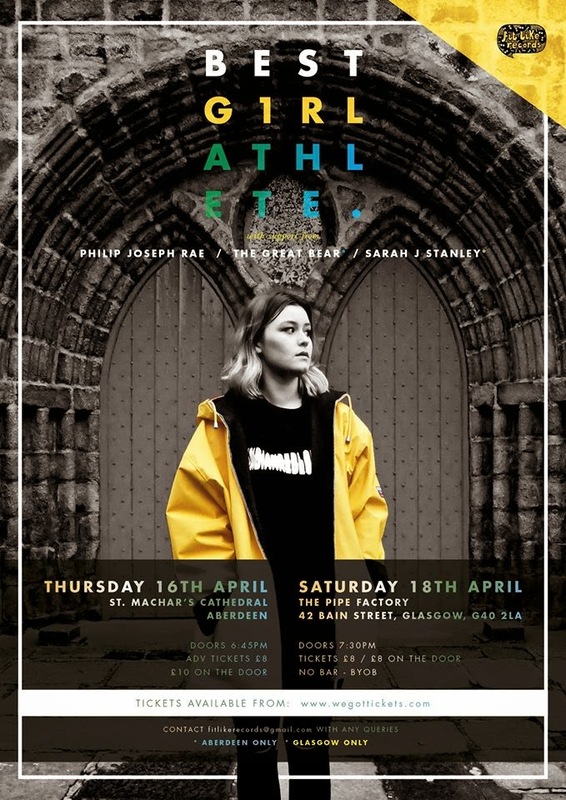 From the first strums of Best Girl Athlete I started to feel my cheecks tingle, a feeling I usually get when seeing something special like Radiohead in Oxford in 2001, Sigur Ros at the Barrowland when () came out and now Best Girl Athlete at St Machars Cathedral. The next 50 odd minutes heartfelt dedications, some embarrising poo stories, incredible cello solo's, with a few CS Buchan classics and beautiful renditions of Leave It All Behind & Hills. Katie's vocal range is absolutley stunning, harmonising but never over reaching and creating some beautiful and evocative sounds in that stunning setting. Things got a little overwhelming for Best Girl when her dad brought out a suprise birthday cake though, after all its not everyday you get turn 16 while playing songs which you've put your heart into in a cathedral filled with your friends and family. And its this family bond, this support and group of friends which makes not only Best Girl Athlete but the whole Fitlike Records ethos worth supporting. Not to mention the wealth of talent they're uncovering up North! To think this is only the beggining for Katie and already shes recorded an incredible debut album and is holding her own on stage. Incredible to see her grow with each performance and I can't recommend enough seeing her live before she really takes off! Debut Carve Every Word is available here. And hats off to Still Burning Photography for capturing these stunning shots which really say it all! 'The Erinsborough Fringe' at BUZZCUT Festival!